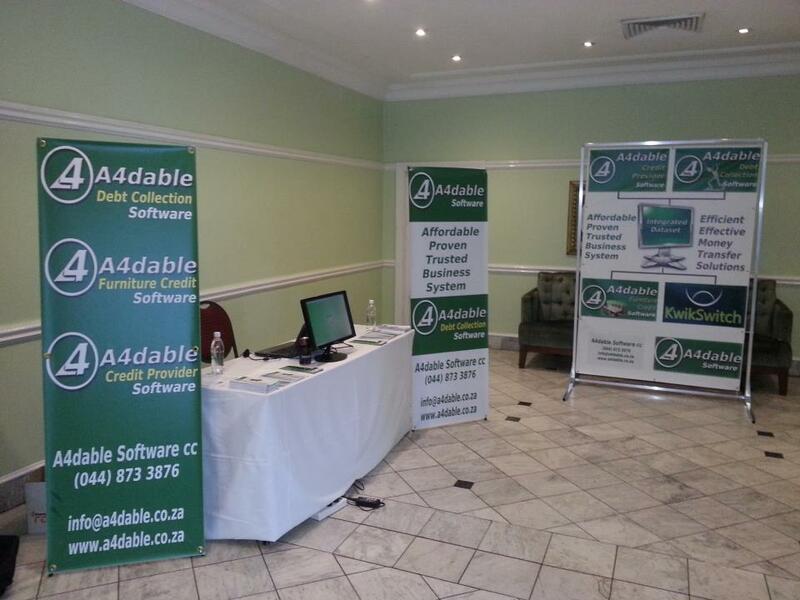 A4dable Debt Collection software© provides a custom solution to manage your complete South African debt collection business. 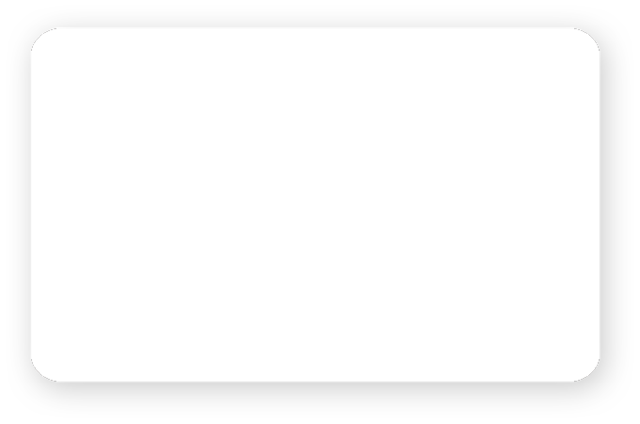 Keeping track of debtors, plaintiffs, agents, employers, clients, sheriffs, courts, banks and the various related charges and fees has never been easier. A wide selection of reports empowers you with complete and accurate information to apply your time effectively and efficiently. 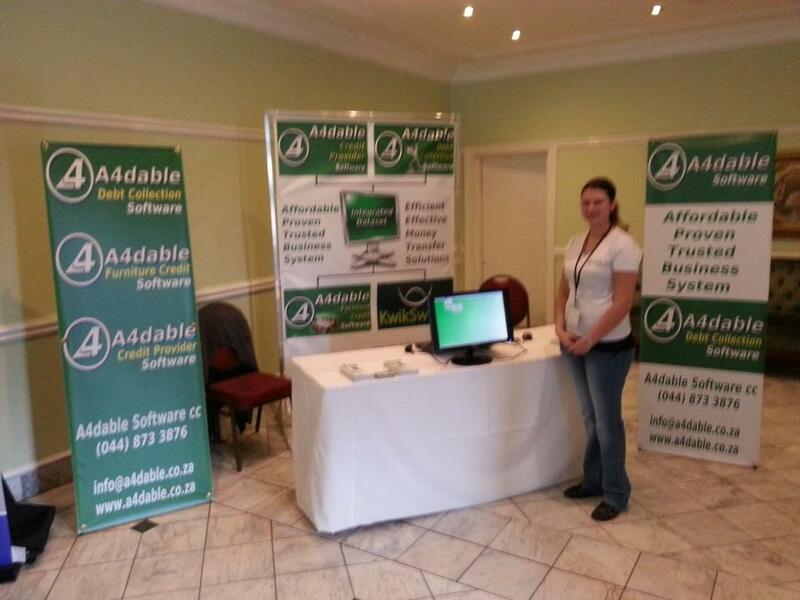 The system runs on Windows based platforms and is scaleable so that it can grow with your business at no additional cost. 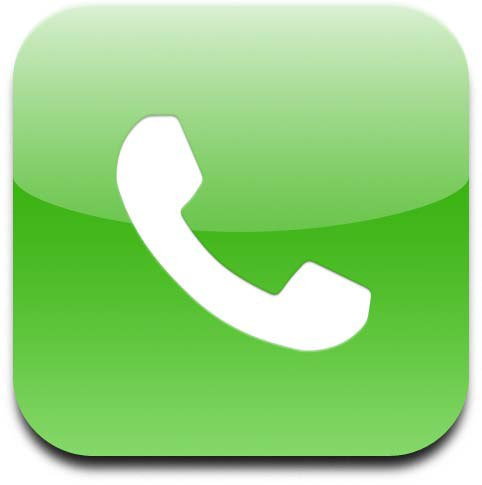 Our customers receive free online support during business hours at no additional costs other than a low monthly licence fee. 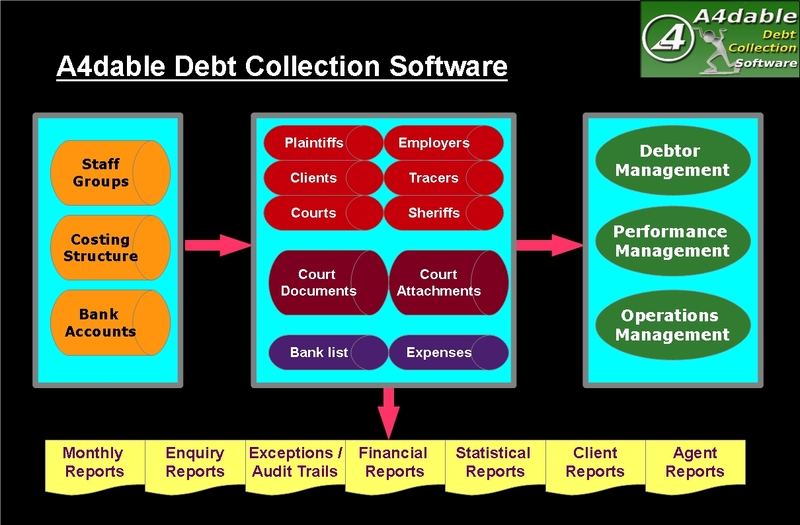 Click icon to download a fully operational A4dable Debt Collection Software for Windows 7, FREE for 30 days. 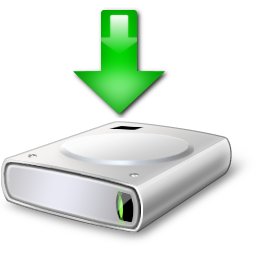 Click icon to download utility to identify your hard disk serial number, required for A4dable Software installation.